As I was walking in Orchard Central, I suddenly realized that it is actually a pretty nice place for dining. First of all, Orchard Central is relatively quiet compared to the other shopping malls in Orchard Singapore, and most importantly, there are a lot of restaurants in Orchard Central! The funny thing is: Ootoya Japanese Restaurant is the only restaurant in Orchard Central that has a queue. In case you are wondering how to find a way around this, no, they don’t take reservations. You need to be there early before lunch/dinner time, or just wait (at least) twenty-thirty minutes for a table. Anyway, Ootoya specializes in teishoku, or set meals that come with rice and soup. They have been making a name in the Singapore food scene for serving simple, and relatively affordable Japanese food. Coated with a generous spread of bread crumbs, the final product is a golden crispy exterior that covers the pork inside. 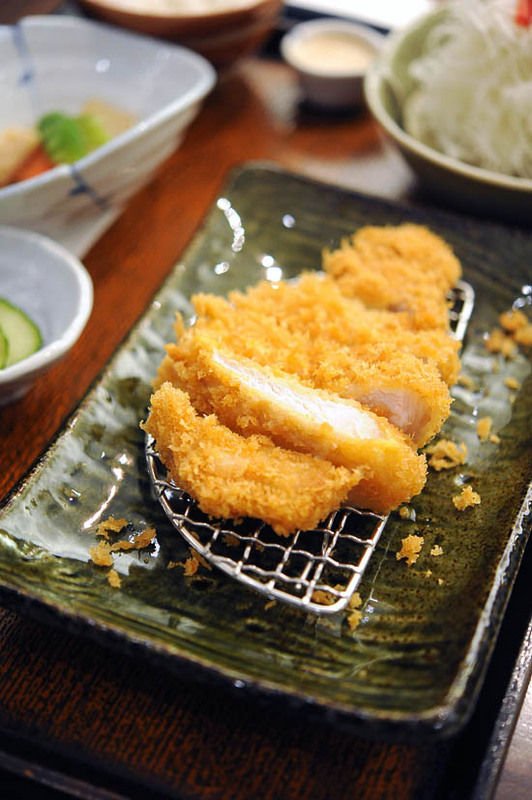 Straight out of the piping hot oil, the Breaded Pork Loin Cutlet ($16 for set, $11 for ala carte) is nicely cut into strips and served with the katsu sauce. My friend told me a lot about Ootoya’s grilled fish, so we decided to go for the Charcoal grill horse mackerel set ($20 for set, $15 for ala carte). If you don’t fancy picking bones from the flesh, then it’s probably wise not to order this. 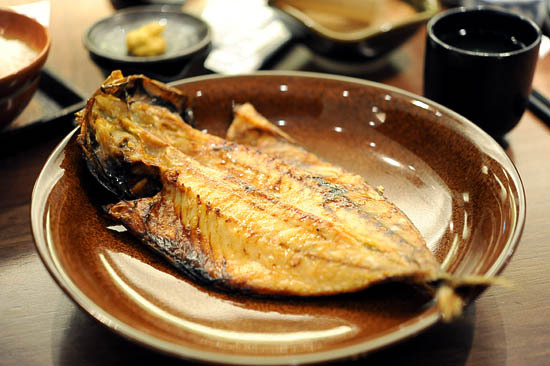 But if you like fish, here’s a good grilled mackerel – a signature dish from Ootoya. Don’t be mislead by the name, the Charcoal grilled chicken salad with basil sauce ($16.50 for set, $11.50 for ala carte) is more than just a normal salad. The charcoal grilled chicken was very tasty! Even though Misstamchiak gave me two pieces of the chicken thigh, I couldn’t stop staring at her plate throughout dinner. Ootoya at Orchard Central has good Japanese food at reasonable prices, but I’m not sure if I’ll be coming back. Don’t get me wrong, it has nothing to do with the service, or food, or prices – I’m just too lazy to queue up. Besides, there are plenty of options for good Japanese food in Singapore. I will be blogging on another ‘hidden-gem’ Japanese restaurant next week. Meanwhile, please share with us if you have any recommendation for good & affordable Japanese restaurants in Singapore. Has anyone been to Ootoya’s new branch at Suntec City Mall? I wonder if it’s easier to get a table there? Absolutely love Ootoya for teishoku and i find its such an authentic homestyle cooking place. Shame about the queues but even my queue-hating town-hating poppa is willing to queue for such quality teishoku. the grilled chicken salad looks amazing. OMG~i am hungry already! I’ve been to the Suntec Branch 3x in a month! love it! no queues at all. even on wkends i guess its because not many has realised how good it is. I am so gg to try this out. Anyway, have you heard of Saboten? This place looks good! Anyone know if the tonkatsu is better than the ones at Tonkichi? @Hazel: Tried Saboten a couple of weeks back and was pretty underwhelmed..
Saboten @ Parco was great during my visits. But the one at Changi Airport was upsetting. 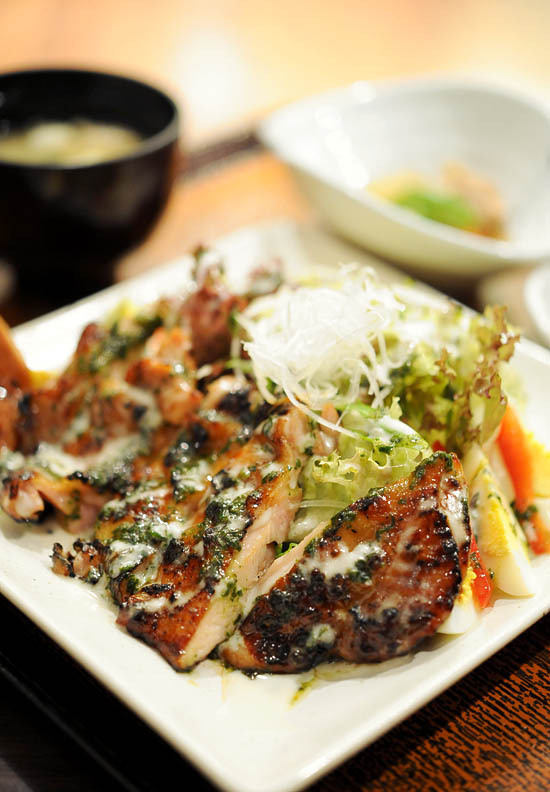 Love Ootoya’s signature dish – grilled marinated pork! It’s so yummy! I’ve been there over 10 times and only order that! Love how we can get free rice and miso soup refills! Love the mashed potato salad on the side too! Too bad there’s no refill on that!